Karthik's father is an alcoholic who wastes the little money he makes on drinking. Their family is very poor. 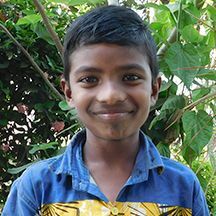 Sponsorship would provide Karthik with an education and basic needs.